A lot of bad sound is simply the result of talkers who don’t know how to use a mic. Here are 11 ways to make sure that everyone is heard during your next event or meeting. • Create a “Mic Tips” cheat sheet, laminate it, and keep a copy anywhere a mic is used— on the lectern, at the mixers, taped to a conference table or panel discussion table. Use as many images and few words as possible. • Positioning. Your mouth should be no more than about two widths of your hand from the mic. Too close to the mic, and sound will be “boomy” (known as the “proximity effect”). On sensitive condenser mics, “p-popping” will be more prevalent. Too far from the mic, and the level of voice pickup will be too low—you’ll pick up more room sound, and increase the chances of feedback. • Use the Mic. Microphones are totally ineffective, unless people use them. Inexperienced users are sometimes intimidated by them or simply forget they are there. • Keep away from the loudspeaker. A microphone in proximity to a loudspeaker will create feedback. • Have enough mics for panel discussions. Make sure there is one microphone for at least every two participants. Sharing one mic among a group is distracting, time consuming, and can result in a lot of handling noise as it’s passed around. • An audience mic is a wise idea. Be sure to have a roaming wireless mic, or one that’s conspicuously located on a stand for audience questions. • On or Off. Avoid microphones with on/ off switches, because Murphy will assure that they are always in the “off” position when the VIP keynote speaker steps up to the podium. And many people, no matter how technically inclined, can’t seem to remember how to flip a switch under the pressure of public speaking. • Don’t use a lavalier mic as a hand-held. 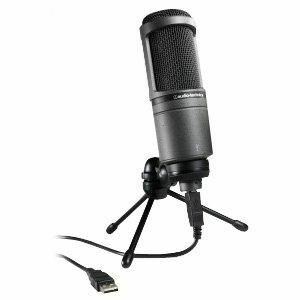 Clip it onto your clothing and don’t bring it right up to your mouth, as this creates mic overload and distortion. • Don’t cup it. Although a popular technique among rappers, “cupping” your hand around a mic capsule turns a unidirectional mic into an omnidirectional, and increases “boominess” and feedback potential. • Standing at a lectern. Room acoustics and sound reflections play a role in determining the sound quality that’s picked up by the microphone. At a lectern, standing too far from the microphone allows it to pick up too much room sound and sound reflected from the hard surfaces of the lectern. These reflections arrive at the mic later in time relative to the direct sound of the voice, and cause phase cancellations (seen as dips in frequency response, or “comb filter” effect) which can result in audible coloration of the sound. • Standing closer to the mic allows it to pick up a higher percentage of “direct” sound, resulting in fewer phase cancellations and more natural sound. This remedy was featured in our 10 Remedies for Everyday Audio Problems by Mark R. Mayfield. Read more succinct and effective audio and video remedies in our free Technology Manager’s Guide eBooks. Visit http://www.avnetwork.com or http://tinyurl.com/a4f4c77.